As promised last week, APS has filed a revised plan for tree removal at Inman that excludes all the healthy trees on and around the softball field along Greencove Avenue. They have also removed a 41” oak along Virginia Ave., the removal of which was to accommodate stormwater that this plan no longer creates. Click here to see the revised plan. APS’ original plan proposed removing nineteen trees that totaled 435”; the revised one proposes removing eleven trees totaling 192”. The revised plan both generates less stormwater (sparing the tree already mentioned) and makes creating a new replacement tree plan a great deal more practical. In their note last week that addressed our concerns about removal of these trees, APS mentioned the possibility of further design efforts being undertaken with the specific goals of minimal tree loss and stormwater management. Those are worthy goals, and we will promptly share any information we receive about any new plans. The revised plan received today still anticipates the removal of the trees around the Clemont driveway (proximal to the proposed expansion) and along Park Dr. (to accommodate new lanes for two special education busses). 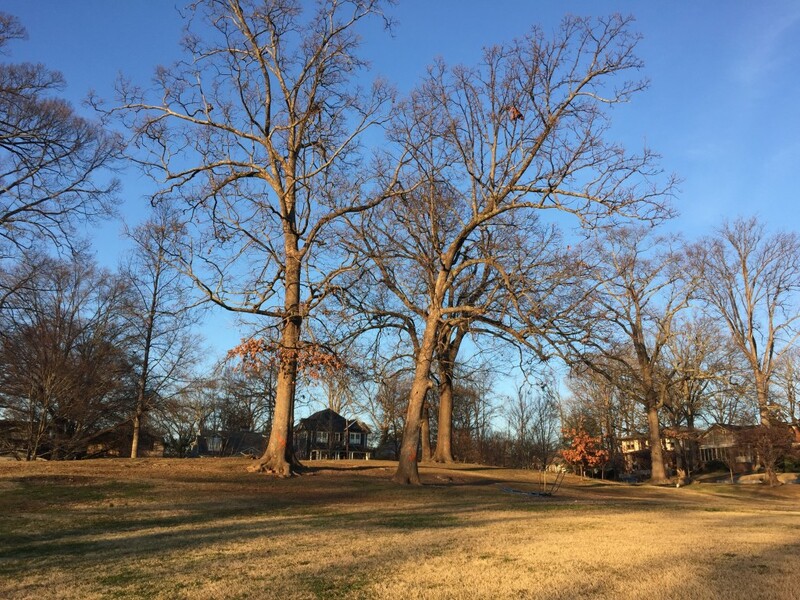 Those trees are included in separate appeals filed by neighbors who are understandably unhappy to see any trees go and who question whether or not the planned expansion will provide sufficient future capacity at Inman. Our school board representative, Matt Westmoreland, has assured us throughout the process (most recently two weeks ago) that the trailers will be removed from Inman upon the completion of the addition. At a meeting with neighbors this weekend, he promised that he would review the computations of the APS demographers with this exact outcome in mind. When we receive his report we will pass it along to residents. This entry was posted in news and tagged 2015, inmanmiddleschool, trees by John Becker. Bookmark the permalink.